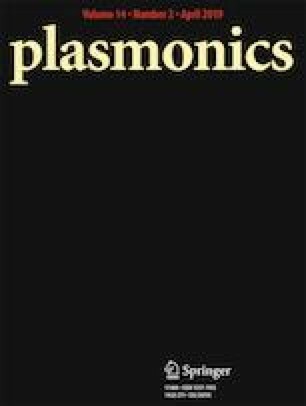 This is the first report of a hybrid plasmonic nano patch antenna having metal insulator metal (HMIM) multilayer configuration. It is designed in a footprint area of 1.7 × 1.175 μm2 to resonate at 1.55 μm wavelength. The proposed antenna is inset fed by an HMIM plasmonic waveguide for achieving proper impedance matching. It is observed, through electromagnetic numerical simulation, that the proposed plasmonic nano patch antenna emits a directional beam with a bandwidth, gain, and efficiency of 0.194 μm, 8.3 dB, and 96% respectively, which are significantly higher than previously reported designs. Since inset-fed antennas are suitable for developing high-gain antenna array, hence further, we examined antenna performance by designing antenna array. The proposed antenna is practically realizable and can be fabricated using standard semiconductor fabrication process. Moreover, it could be used for numerous chip scale applications such as wireless interconnects energy harvesting, photoemission, photo detection, scattering, heat transfer, spectroscopy, and optical sensing.